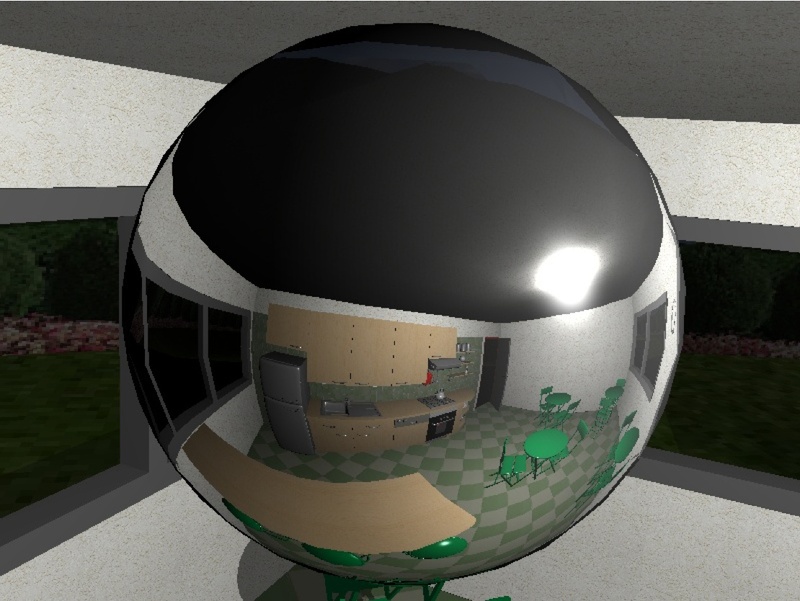 Abstract : Specular reflections provide many important visual cues in our daily environment. 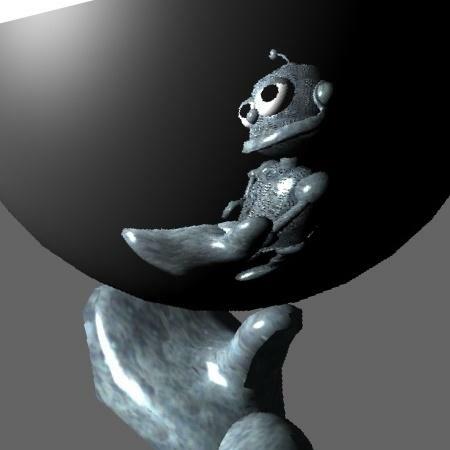 They inform us of the shape of objects, of the material they are made of, of their relative positions, etc. 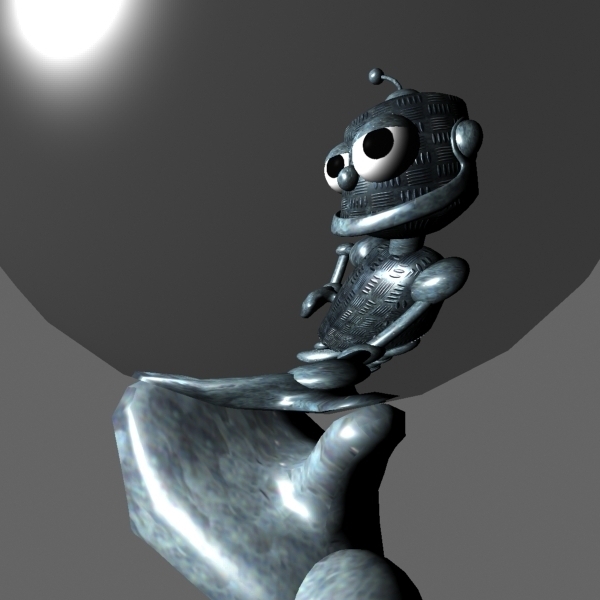 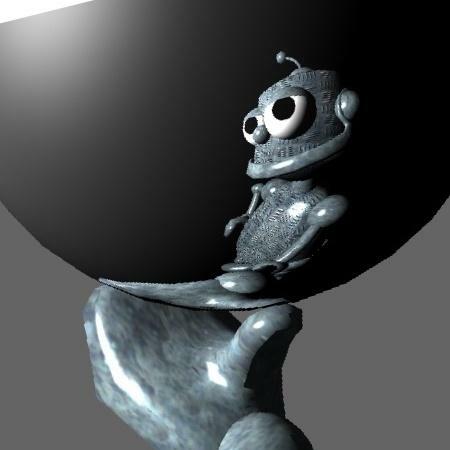 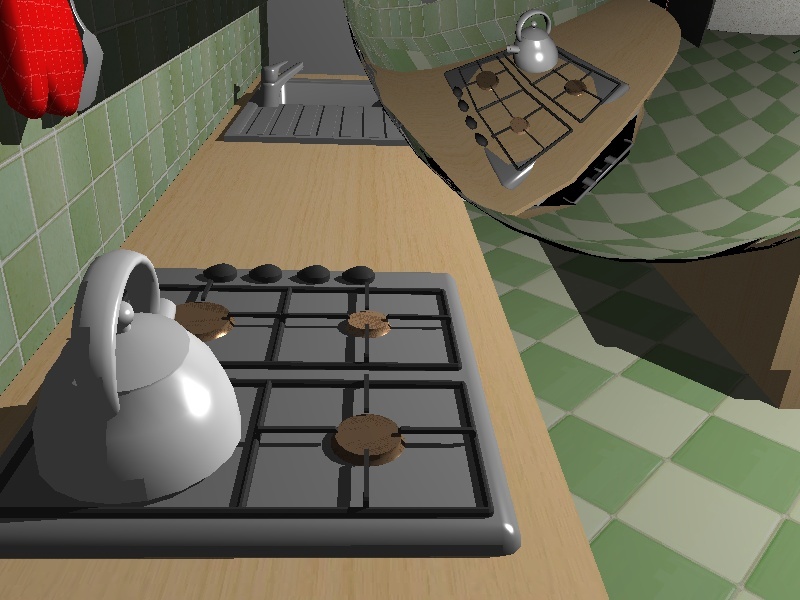 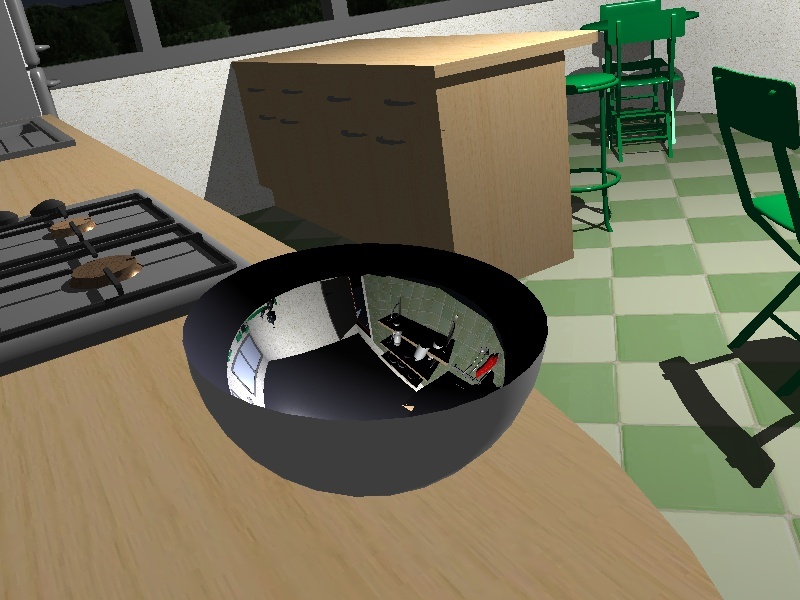 Specular reflections on curved objects are usually approximated using environment maps. 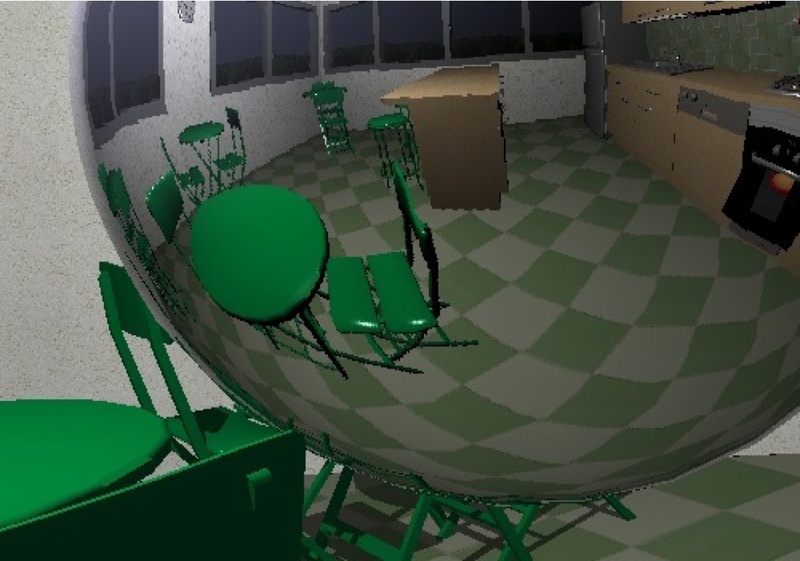 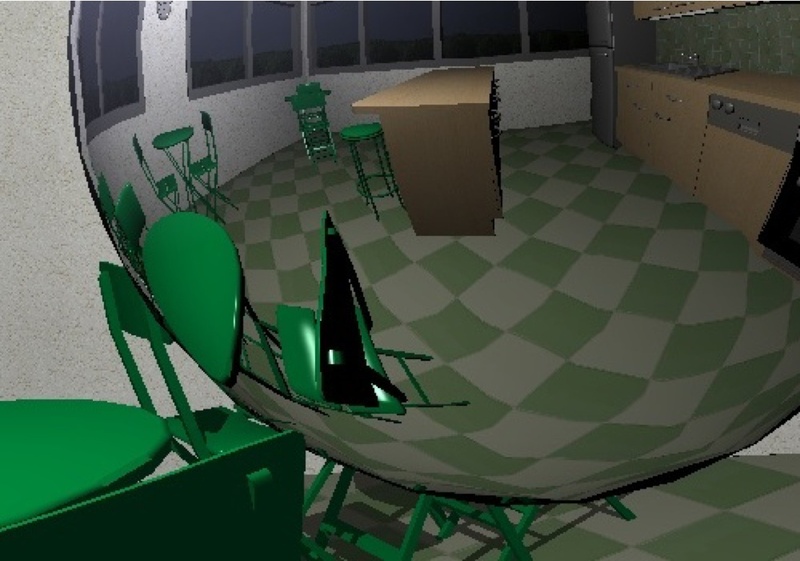 In this paper, we present a new algorithm for real-time computation of specular reflections on curved objects, based on an exact computation for the reflection of each scene vertex. 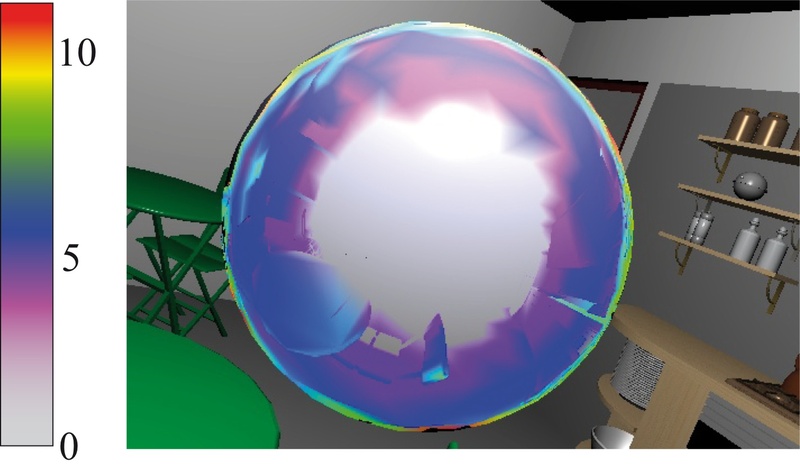 Our method exhibits all the required parallax effects and can handle arbitrary proximity between the reflector and the reflected objects.